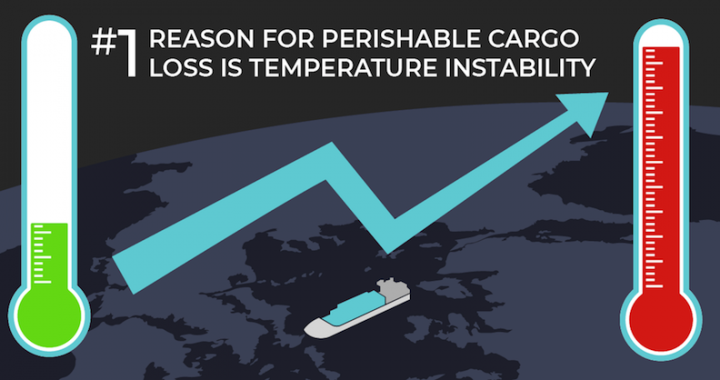 Smart Cargo Insurance™ from Corvus uses temperature stability data, collected for decades for shipments of food and pharmaceutical products, to predict and prevent the major cause of Cargo Insurance losses for these companies – spoilage. We do that by comparing the temperature stability of an insured’s shipments against that of hundreds of thousands of shipment data points. We produce a relative risk score that we share with broker and client. Corvus delivers this information on its CrowBar data platform. During the policy period, we monitor new information from ongoing shipments. If we spot negative trends, we inform broker and policyholder with actionable recommendations generated by the CrowBar. We call this ongoing digital inspection service Dynamic Loss Prevention™. It is unprecedented in the insurance industry. In fact, Smart Cargo Insurance is the first IoT (Internet of Things) based Commercial Insurance policy ever! We also analyze the temperature stability data to determine other patterns that might be predictive of claims. For examples, we break down the temperature stability readings based on shipment source and destinations. In that way we are able to help an insured see “near misses” of spoilage in order to use that information to improve its internal processes. This form of Business Intelligence is all driven by our software tools. Risk scores. Dynamic Loss Prevention™. And Business Intelligence. That’s why we call it Smart Cargo Insurance. Posted in Uncategorized and tagged cargo insurance, commercial insurance, Corvus, InsurTech.